Amazon offers its Prime members a lot of benefits like free streaming content via Amazon Instant Video and free 2-day shipping. Another cool new feature I noticed on my Kindle Fire HDX is you can get a free pre-released eBook once a month. Each month Amazon Publishing editors allow you to download one eBook for free. 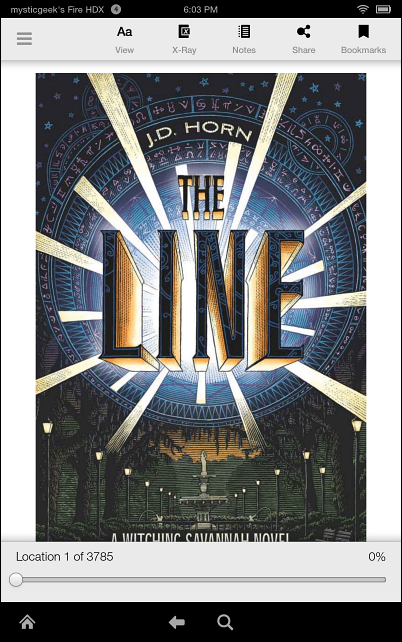 At the time of this writing there were four books to pick from, of course that might change in the future. You can also have Amazon send you an email when new picks are available. 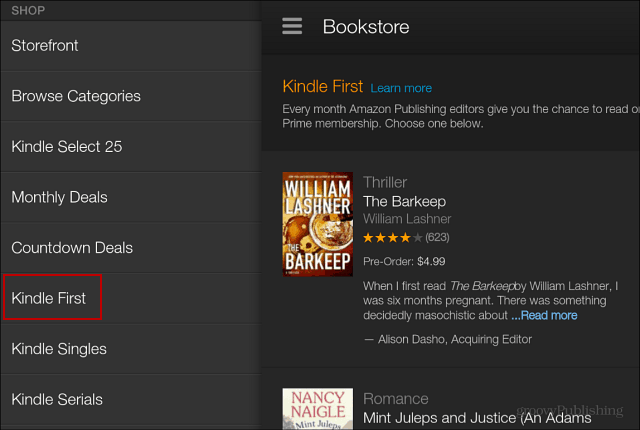 On the Kindle Fire open the Bookstore menu and tap Kindle First from the list. 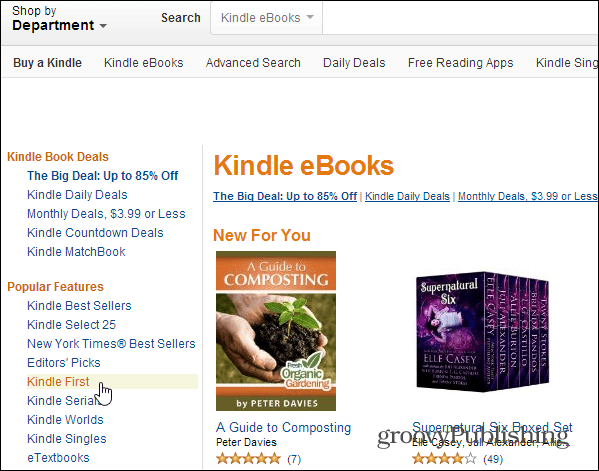 On your computer, sign in to Amazon, open the Kindle eBooks department and then Kindle First under Popular Features. On your Kindle, just tap the one you want to read and download it to your device. Or from your web browser select the book you want to read, then select the Kindle or other device you want to send it to. Remember, if you don’t have a Kindle, you can send it to any device that runs the Amazon Kindle app. 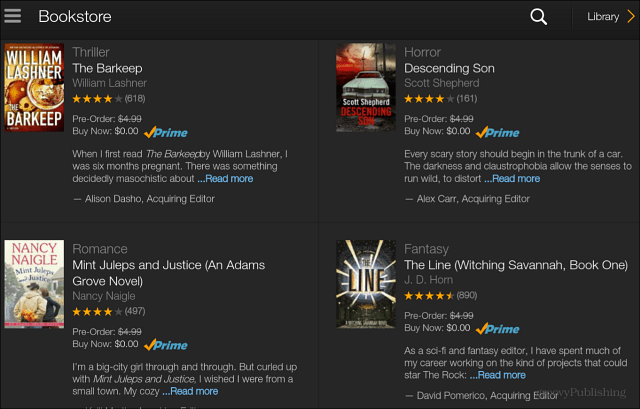 The eBooks you can select from are editor’s picks of Kindle eBooks that are pre-release. Because you only get four to pick from, this might not be everyone’s cup of tea. But it includes books from a variety of categories like Romance, Fantasy…Horror. Also remember, that you can read a book for free once a month through the Kindle Owners’ lending Library too. That way you can score two free eBooks. So there’s bound to be something you’ll like between the two options. This is just another cool benefit of being an Amazon Prime member which will cost you $79 annually. Are you an Amazon Prime member? what is your favorite benefits of it? Leave a comment below and let us know! THANKS for that! I have a Kindle Paperwhite and a Kindle Fire HD and Amazon Prime, but I was totally unaware of that feature! Today I do most of my reading on my Kindle Fire HD. How would you compare reading on that to your Paperwhite? I’m trying to decide if I should break down and get one…. ? Thnx for the comment and thanks for reading Konrad! 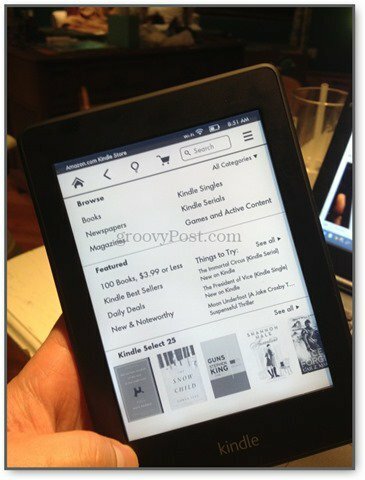 Steve – I love the screen on my Kindle Fire HD – for everything other than reading a book! Too heavy for prolonged use and there is enough glare to eventually cause eye strain for me. On the other hand, the Kindle Paperwhite is the perfect companion for relaxed immersion in a good book, lightweight and no eyestrain. I HIGHLY recommend it!